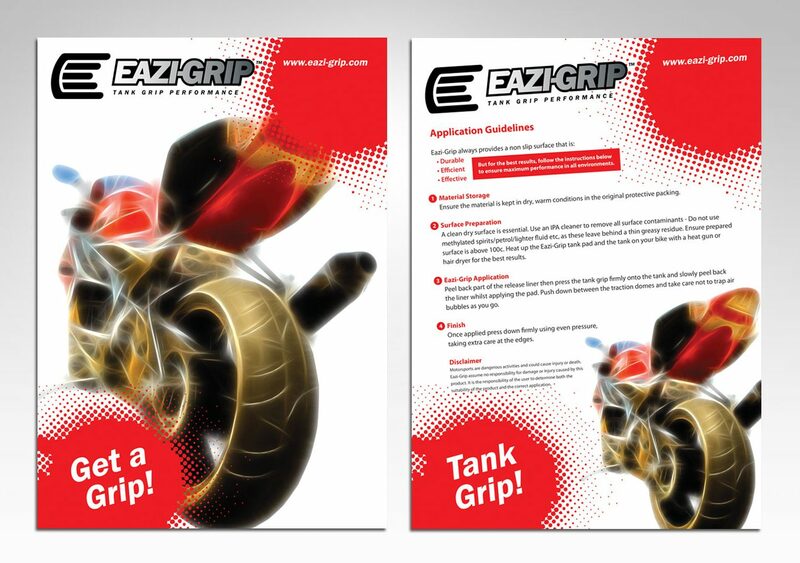 Eazi-Grip is an international manufacturer and seller of fuel tank grips. Their range also covers protective films for motorbikes and silicone hose kits. Our brief was to design and build a website and additional marketing materials to accompany this. Initially, we looked at their brand and realised that they needed a refresh. The logo was designed to allow easy application onto all literature and products going forward. Therefore, we needed to create a simple, yet effective concept that would be instantly recognised in the motorbike industry. The first step was to produce the product packaging, which had to be visually striking, informative and impactful. The idea was to provide each customer with easy to follow application guidelines for every product that was purchased. We did this by designing and printing a high quality, glossy A4 card that was inserted into the packaging. All product literature had to be translated into a number of languages, taking into account the key countries that Eazi-Grip sold their products into. 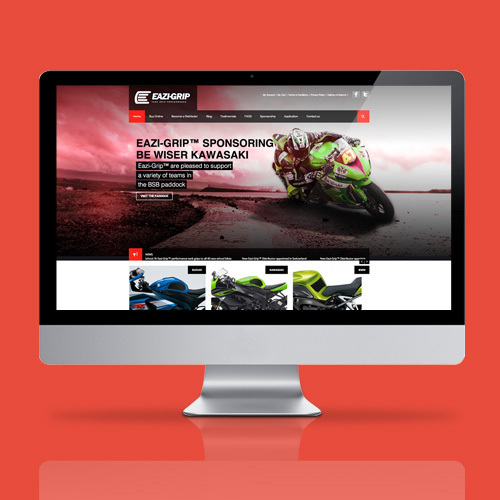 The website was designed and built to portray an exciting, fast-paced brand, promoting the large range of superbike manufacturers that they work with, the hundreds of products that they have to offer and a way to get across a full and informative description of each of these products, leaving the customer confident in placing an order. 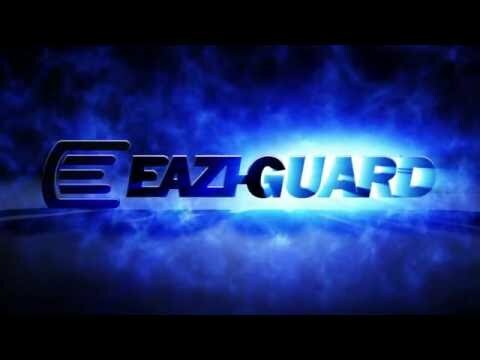 Another huge part of the website was to introduce the company to various stockists around the world that would be interested in supplying the Eazi-Grip products to their customers. Special attention was given to the mobile version of this website, as the facts and figures showed that their customer-base was predominantly mobile-driven. 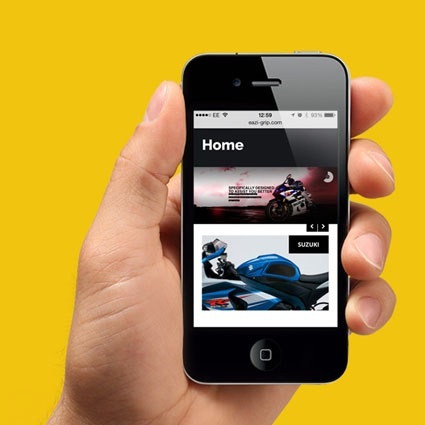 A short video was produced to show the ease of fitting their products to any superbike. This included the Eazi-Grip tank grips and also the protective film that is used to protect the paintwork. The video was broken down into five simple stages of the application process. This simple video production was driven by their customers, as Eazi-Grip received calls on a daily basis asking how to fit the product. This has saved the company hours and hours of customer service time spent on the phone. Video is becoming key to the success of selling products online.